The Oregon wine country is getting known worldwide for it’s great Pinot Noirs, Chardonnays and other wines. Yamhill County, the heart of Oregon wine country where wine growers started their first vineyards on the Dundee Hills, is home of more than 200 vineyards! The region, with tasting rooms in Newberg, Dundee, Carlton and right in the middle, McMinnville has everything a wine connoisseur can imagine. Great restaurants, hotels, beautiful Bed & Breakfasts, lots of activities and of course wineries for every taste. With the wine season starting on memorial day what better to do than get around a few vineyards, taste some of the wines, soak in the sun and views from the tasting rooms and enjoy life. Getting around wine country can be time consuming. There is one way, though, to move it up a notch and not worry about traffic. Get picked up in either Portland downtown, Salem or McMinnville by a helicopter! 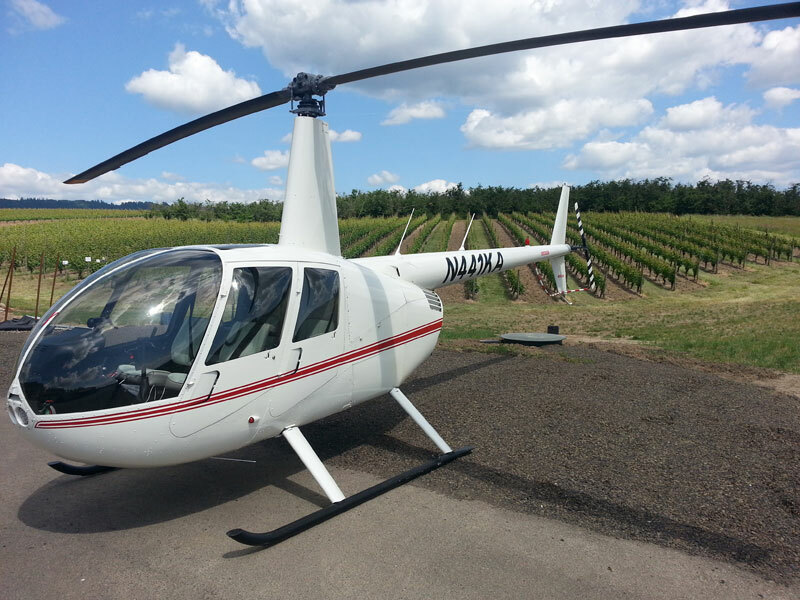 Get in, relax, enjoy breath taking views of the Willamette Valley, the rolling hills and rivers while your helicopter pilot flies you from tasting room to tasting room. 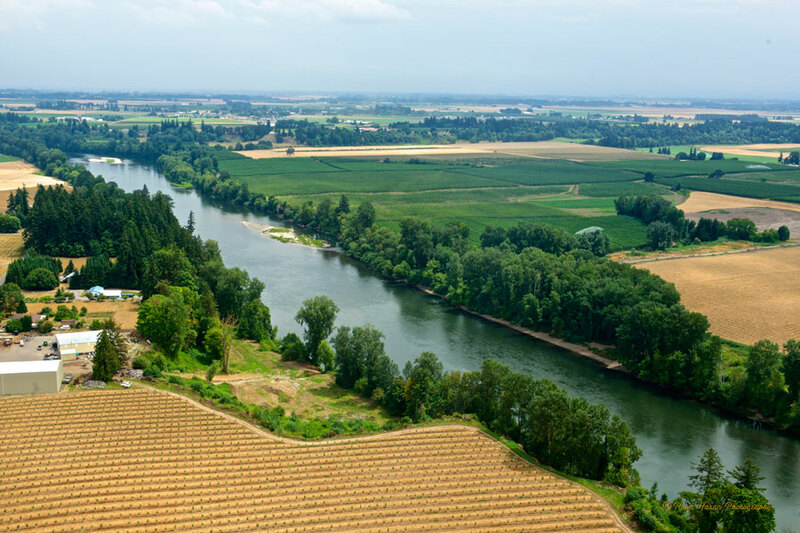 He will explain some of the history of the area to you as well as pointing out interesting facts and scenic spots to you while you overfly the Willamette Valley wine regions. 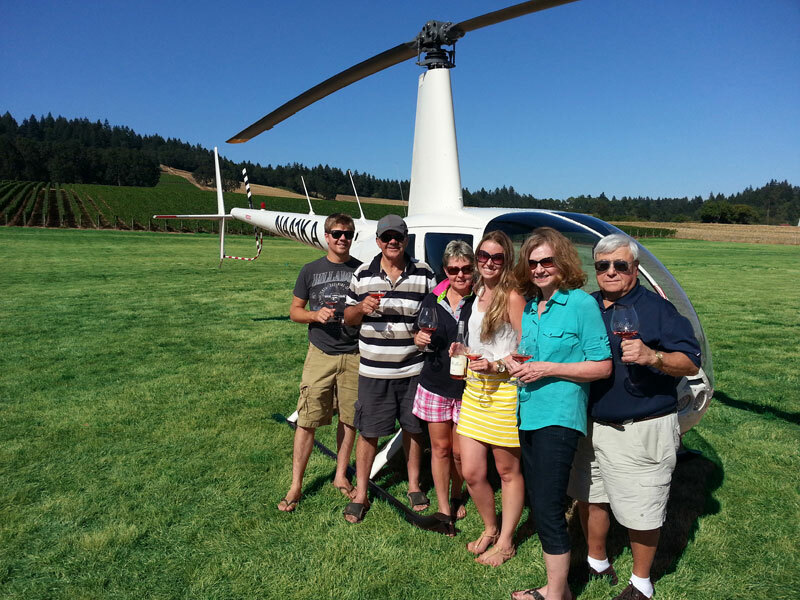 There is no better way to explore vineyards like Stoller Family Estates, Sokol Blosser, Vista Hills, Domaine Serene, Domaine Drouhin, Winderlea, Alexana, Archery Summit, Hawks View, Methven Family Vineyards, The Dukes Family and a lot more, than in a helicopter. All those vineyards can be overflown in the helicopter in about 30 minutes. Trying to see all those driving on the roads will take you days. 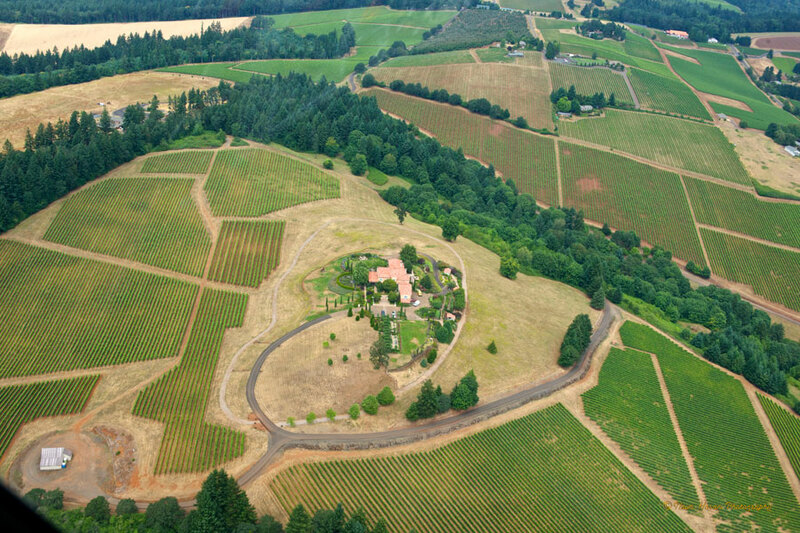 This entry was posted in Helicopter Scenic Tours and tagged dundee, flight, Helicopter, hills, limousine, McMinnville, newberg, portland, room, tasting, Tours, Wine, wineries, yamhill by Ingo. Bookmark the permalink.